Did you know that 2016 is the International Year of Pulses according to the United Nations? I believe this is the perfect opportunity for this formerly shy superfood to boldly step into the spotlight and gain some well-deserved attention! Pulses are members of the legume family and composed of dry peas, lentils, beans and chickpeas. Today I will share my top 3 reasons for taking the pulse pledge, which committed me to including pulses in my diet once a week for ten weeks. I hope that you will join me in the pulse journey! Andrea’s Top 3 Reasons to take #PulsePledge? Loaded with 8 grams of fibre per 1/2 cup. Helps in lowering cholesterol and keeps you feeling full for longer (excellent for weight management). Protein packed: Pulses contain up to 9 grams of protein per 1/2 cup serving. Rich in nutrients that support heart health, bones, energy and brain functioning: iron, potassium, magnesium, zinc, B vitamins like folate. Helps in the prevention and management of diabetes through blood sugar control and increasing sensitivity of hormone (insulin) that helps control sugars. The newest 2015-2020 Dietary Guidelines for Americans suggests replacing some meat and poultry with pulses. Pulses have one of the lowest carbon footprints of any food product. Enriches the soil where they grow (pulses emit nitrogen into soil) which reduces the need for chemical fertilizers. Water-efficient because they require little to no irrigation since they can grow in dry environments. Food prices are rising; take advantage of a healthy, inexpensive protein alternative. You can buy pulses dried or canned at the grocery store – remember to rinse canned lentils before using. One of the most cost-effective protein sources. Lentils cost $0.10 per serving compared to upwards of $1.49 per serving for beef, pork of chicken. Pulses are extremely versatile and can be used in: soups, sauces, casseroles, salads, whole grain or pasta dishes, falafel patties, baking options etc. If you are looking to eat healthier, including more pulses in your diet is a fantastic step forward! By joining the pulse pledge you will join a community of health and environmentally-conscious people. When you sign up for the pulse challenge, you will be e-mailed weekly recipes and short videos for how you can incorporate them in the diet! 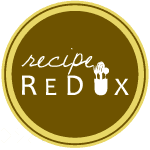 I am looking forward to expanding my recipe repertoire and making a new healthy habit. Will you join me? P.S. I will do a follow-up post in 10 weeks to recap my experience and some of my meals on the pulse pledge! Is “Healthy-ish” the Newest Food Trend? Five (Amazingly Simple) Ways to Improve your Health NOW!